Comment: as the main title might suggest the lyrics on this 5-track issue are about love, about relation problems, about quarrels and subsequent longing and waiting desperately arrival at home of the second part of the relation. Even if the people used to be involved romantically then they are not able to leave their past behind. Indeed, it seems to me the lyrics are the kind of top notch because of representing life and relations faithfully. It could be said it is a romantic folk issue where the lyrics are supported by the twangs of outright acoustic guitars and some sparse vamps additionally. 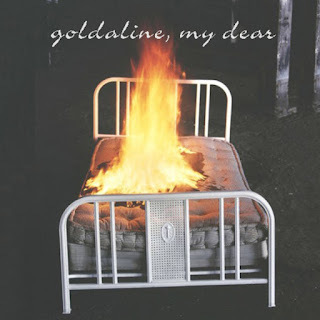 Goldaline, My Dear is the duo of Davide, and Tommaso from Rimini, Italy. How We Say Goodbye And Leave was the duo`s first notch which was followed by Pretend the World is Funny and Forever in 2014. Both of these issues are issued under Stop Records where the releases are up for free download.